Our Mission is Nurturing Spiritual Journeys, Expanding Social Justice. We at FUUFHC strive to be a vibrant and welcoming congregation of individuals who embrace shared principles while fostering each other’s spiritual journeys. 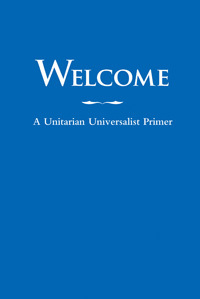 We offer a warm, loving community committed to deepening knowledge and understanding of Unitarian Universalism. We are a community of free-thinking individuals striving daily to build a fair and peaceful world through acts of love, compassion, and justice. We will welcome the stranger into beloved community, where we challenge each other to the lifelong pursuit of spiritual, intellectual, and personal growth. We will build community – from the youngest to the oldest – by fostering connections of caring that bring people together and change lives. We will deepen our relationship with our living earth, setting an example of sustainability for our neighborhood and the world. We will consciously direct our spiritual and physical resources to dismantle all forms of oppression through interfaith action and political engagement in the local community and beyond. It is good to be together.